Age has little to do with ability. Every profession has examples of people who achieve goals even though others consider them too young or too old. People who excel in the face of stereotypes are exciting to watch. The Wall Street Journal listed some examples in a 1980s-era ad for United Technologies Corporation. It’s what you do - not when you do it. Ted Williams, at age 42, slammed a home run in his last official at bat. Mickey Mantle, age 20, hit 23 home runs in his first full year in the major leagues. Golda Meir was 71 when she became Prime Minister of Israel. William Pitt II was 24 when he became Prime Minister of Great Britain. George Bernard Shaw was 94 when one of his plays was first produced. Mozart was just seven when his first composition was published. Now, how about this? 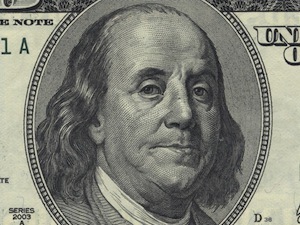 Benjamin Franklin was a newspaper columnist at 16, a framer of The United States Constitution at 81, and a scientist throughout his life. You’re never too young or too old if you’ve got talent. Let’s recognize that age has little to do with ability. Now… let’s get back to work!